← Arch Linux Installation (Part 1) – Package source, text editor and clock. 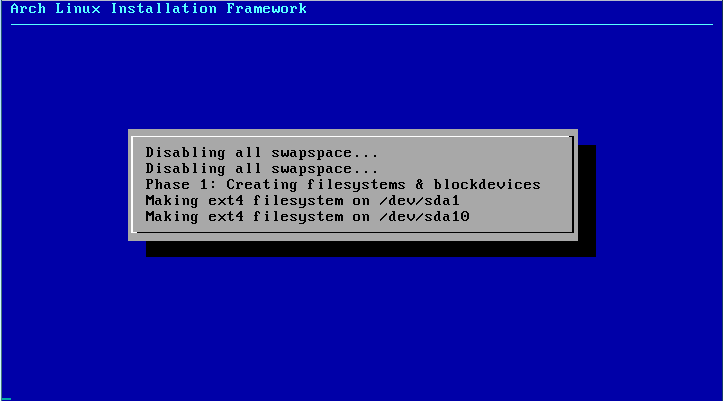 I have decided to break this Arch Linux Installation journal into parts as it is getting longer…. I used to skip hard disk partitioning in the past, because I had no idea what to partition, I would go by using the default setting whereby everything will be mounted to ‘/’. As I used Linux and did Linux distribution hopping more, things started to make more sense to me…. 1. All using EXT4 journaling file system. 2. / root is 6GB. 7. /home is the remaining space. 8. 512MB is for swap. Manually partition the hard drive. This step can be very easy by choosing option 1, however if I chose to proceed with my hdd partition arrangement plan and chose option 2; manually partition hard drives. I only have one hard drive hence this is the obvious choice. 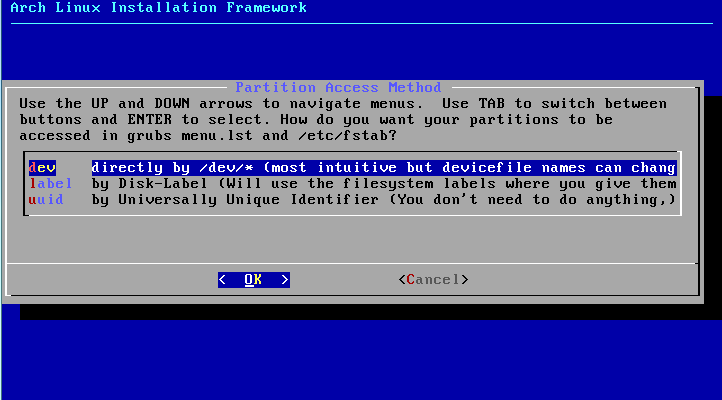 This cfdisk screen used to freak me out in the past because partitioning was cryptic to me, however after working with Linux and reading several forums I am now confident to know what I will be doing. 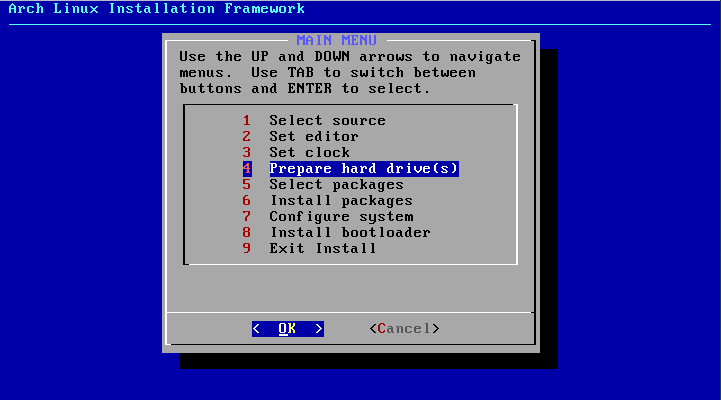 The partitions were as above, press Write to write the partition table to MBR. Configuring mount point and other configurations. 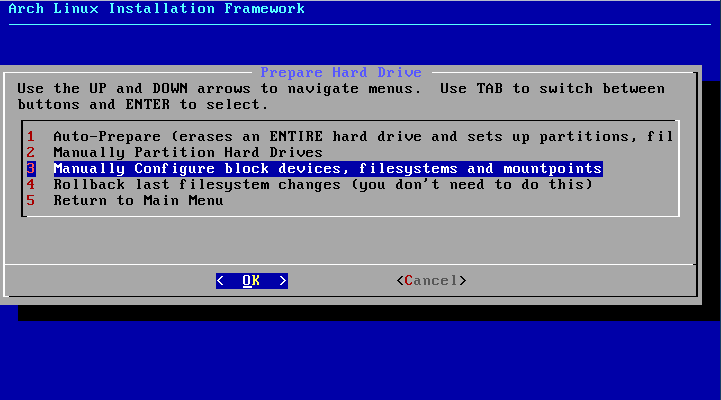 The next is manually configure the file systems and mount points. Choose /dev the static way to write to /etc/fstab. Choose filesystem, label and mount point. 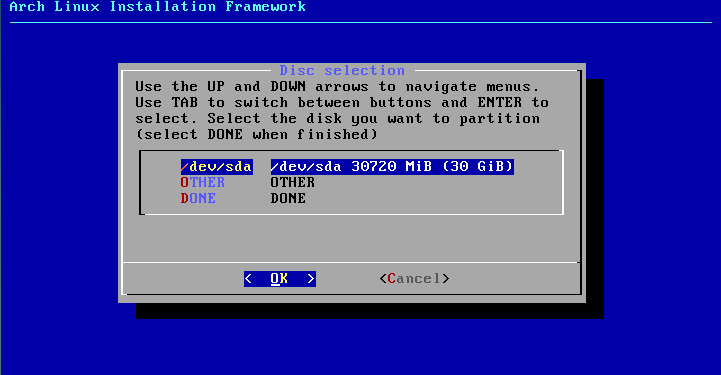 The hard disk was partitioned but no file system and mount point is chosen. 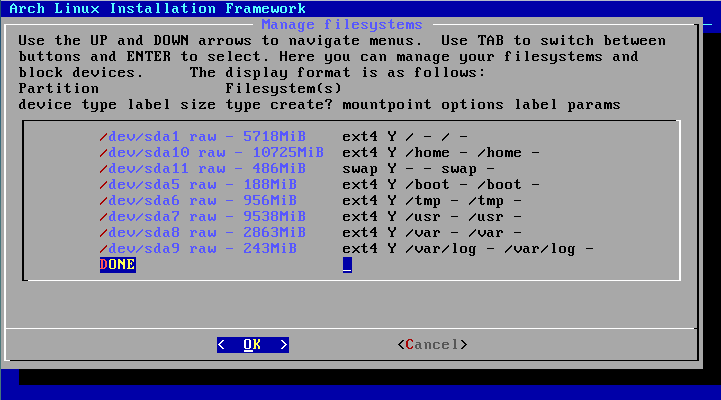 filesystem, mount point and label configured. This table is the end result of the configuration. I have chosen ext4 file system and defined the mount point as planned. I prefer to label the partition to be the same as the mount point as it is clearer to me of which is which, it is especially useful and easier for me to do rsync backup as well. Now the wizard is processing the choices I had made. 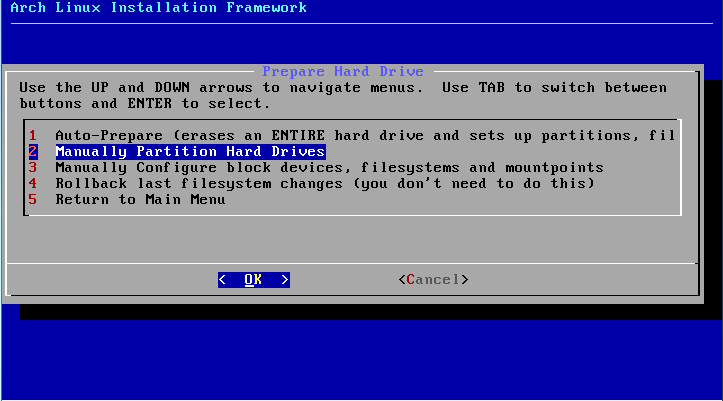 This entry was posted in Linux, System OS and tagged arch, arch linux, arch linux installation, hard disk partition. Bookmark the permalink.